How You Can Make A Difference In Small Island Nations With Renewable Energy And Sustainable Innovation. Today’s guest on The Expat Money Show is James Ellsmoor. James is a Social Entrepreneur with expertise in renewable energy, sustainable innovation and entrepreneurship in rural, remote and island regions. He has experience living, working and travelling in over 40 countries. James lives a fascinating life helping Small Islands Developing States (SIDS). There are about 50 different jurisdictions around the globe. James has found that entrepreneurship in these countries is strong and it’s what drives these small nations. Take a look at Jamaica and the impact this small country has had on North America. Their music, their food, their athletes. As a Canadian, and we love our Reggae music, our curry goat and Jamaican patties and Red Stripe beer! What’s really impressive is that James is a Forbes 30 under 30 winner and top 100 most powerful young entrepreneurs under 25. This guy is smart and creative. And for an entrepreneur that’s the winning ticket!! As most of you know, I love to travel. I love to experience what the locals experience and chatting with James really got me interested in so many places that I have never had the pleasure of visiting, and now are on my list of countries to see . My reasons are very different than most, and James agrees, what he finds fascinating is also different. We dove deep into what renewable energy looks like. Is it the same for each area? Does Jamaica require the same as Samoa? Or Guyana? What do countries like this require to be self-sufficient, with their government, the infrastructure and food crops? James and his company, Solar Head of State, tried to put solar panels on the White House, which is how his company name came to be. James and his team work with countries to reduce their carbon footprint, teach them about renewable energy and sustainable energy. I’m just really happy that someone is working with these smaller nations. Their electricity costs are extremely high and their incomes are extremely low so let’s work on bringing them closer together. HOW DOES RENEWABLE ENERGY IMPACT AGRICULTURE? I truly believe that we all need to understand the impact of using renewable energy can make on the countries we visit. So many of these small nations Import 90% of their food because it’s cheaper to buy chickens from China than to grow them locally. So, in the end, these countries rely heavily on canned food even tho it’s a tropical paradise. It’s why 9 out of 10 countries that have an issue with obesity are Pacific island countries. Using renewable energy to power the machinery and the agricultural equipment is a step in the right direction to allowing these nations to not be as reliant on food imported from abroad. Our conversation about Puerto Rico was fascinating. After the hurricane in 2017, the island was devastated and literally had to shut down. I know they rely heavily on tourism, with dozens of cruise ships docking every day, and the US came to the rescue. Millions of dollars were spent to get the country back up and running. Interestingly, they had to rebuild new electricity grids and they started to use sustainable energy and renewable energy, and how smart is that. If we, North Americans, had to rebuild our grids, we just wouldn’t build them the same way, we would use far more renewable energy. James and I talk about how people are leaving, 500,000 of them since the hurricane to live in Florida, which has left a huge gap in the real estate market for anyone to walk into, especially if you are an American, and buy property at a reduced rate. How can we use new technology? What is HOT in renewable energy? Batteries? Yes, batteries! Elon Musk and his influence in renewable energy and sustainable innovation. He’s my hero, I love this guy! What Elon has been able to bring to the forefront of innovation is amazing. With SpaceX and Tesla and he is working on bringing the price of batteries down in price so that everyone can take advantage of them.  On The Expat Money Show, I aim to bring in the best Entrepreneurs from around the globe who are doing some really incredible things. James Ellsmoor is no exception. His fascination with the island communities will play out well in the long run, make sure you listen in to find out what’s being done to save these small island nations. Don’t let this episode slip through your hands. Listen and relisten. Share this podcast with your colleagues! They will love you forever!